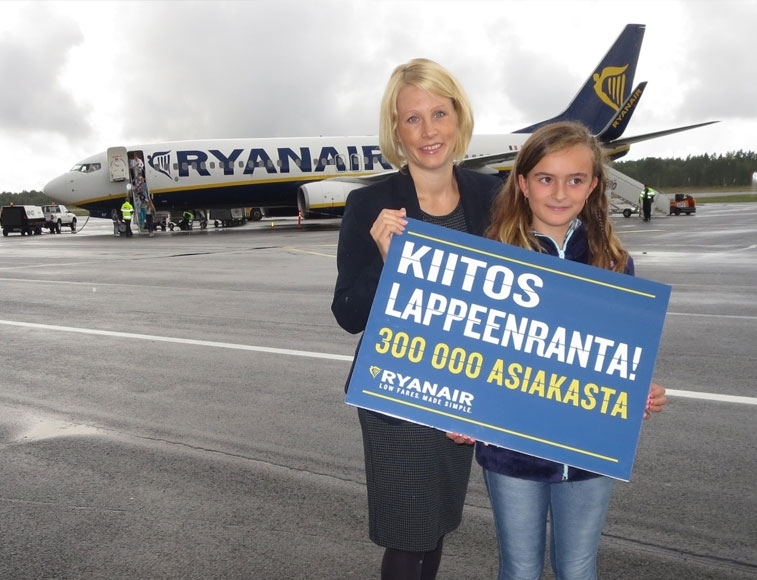 Low-cost airline Ryanair will start direct flights between Lappeenranta and Athens next summer. The Irish no-frills carrier is particularly interested in testing demand for the route among Russian tourists as Lappeenranta is the closest EU airport to St. The Russia vs. Portugal group match of the 2017 FIFA Confederations Cup has been sold out, FIFA Secretary General Fatma Samoura told reporters on Tuesday. 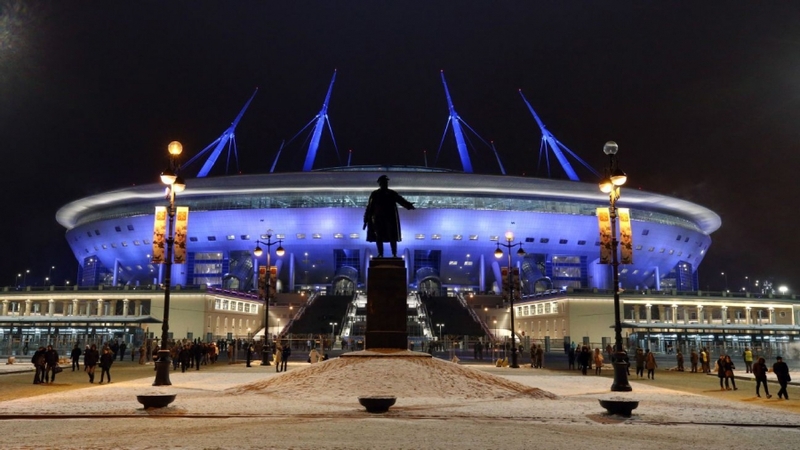 The St. Petersburg stadium, which is currently under construction on Krestovsky Island will be ready to host matches of the 2017 Confederations Cup, FIFA Director of Competitions Division Colin Smith told journalists. 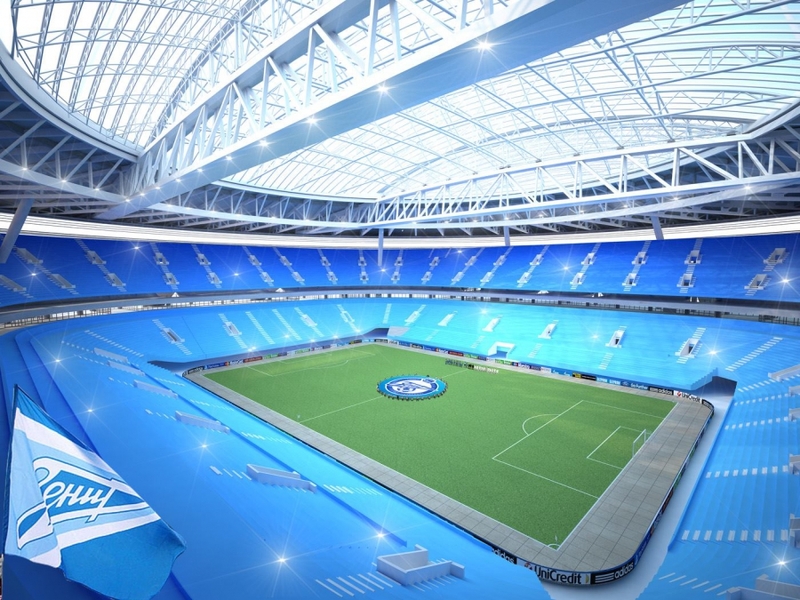 Here are the four venues that will be used throughout the 2017 Confederations Cup. 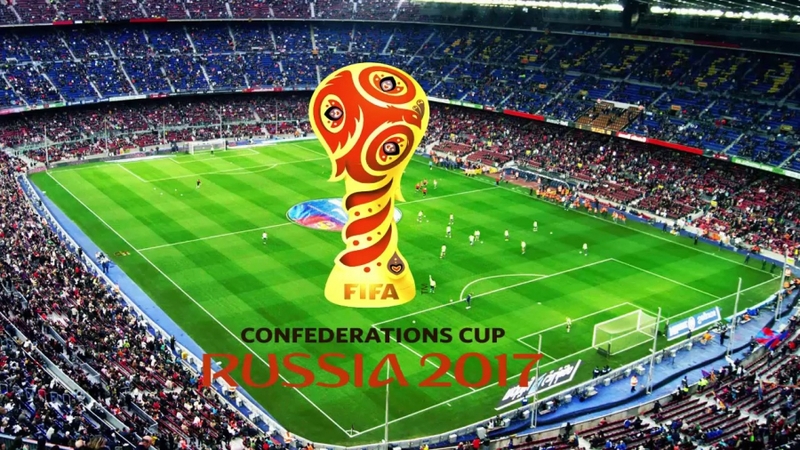 The Confederations Cup runs from June 17 to July 2 in Russia. At first glance, these giant snowballs appearing around the Gulf of Ob in Siberia look like part of an elaborate prank or sci-fi movie set, but these strange objects are completely natural. Measuring up to a metre (3. 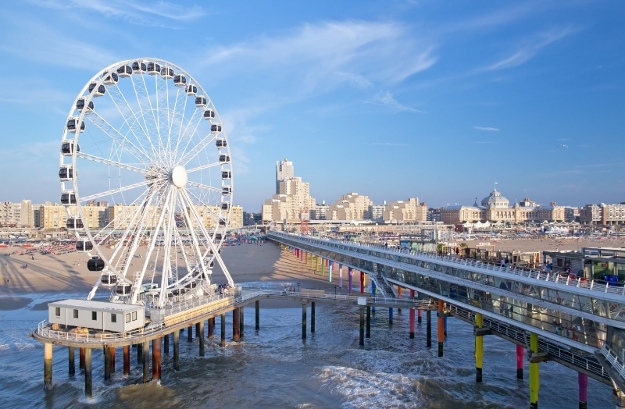 The Hague gains a tourist attraction: Europe"s first Ferris wheel constructed over sea. While the project is marketed as Europe’s first, it is actually just the first of its kind in mainland Europe. 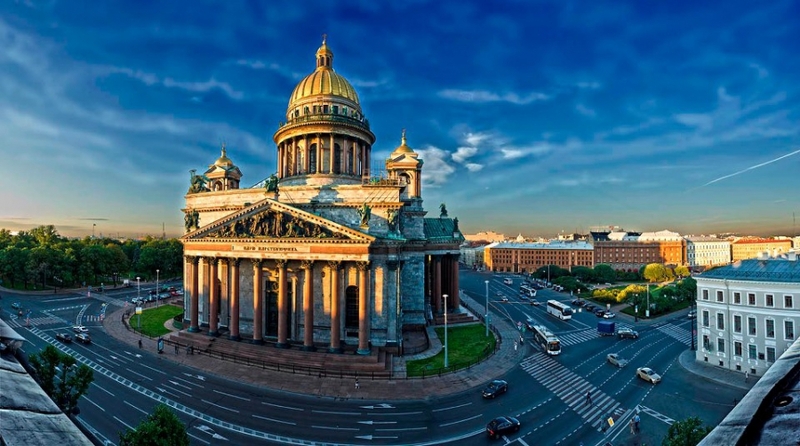 Saint Petersburg has been recognised as Europe’s Leading Destination for the second year in succession by the World Travel Awards, with Saint Petersburg Committee for Tourism Development Chairman, Andrey Mushkarev, collecting the trophy at a glittering ceremony in Italy.Also receiving top titles during the Europe Gala Ceremony 2016 at Forte Village Resort in Sardinia were Europcar, taking the trophy for Europe’s Leading Car Rental Company, and the Madeira Islands, which took the title of Europe's Leading Island Destination. Accion del Sol news A DEFINITE date for your diary is 7th July, when there will be a day of fun and games, for humans and dogs alike. Fun for all the family, including a foam party for the children. THE pound has been putting on a mixed performance in recent weeks, amid a flurry of disappointing domestic data, with only sterling showing any notable movement against a significantly-weakened euro. GBP/EUR has seen some large swings over the last two weeks, but it is pretty much back to where it began at 1. Come and walk the doggies! Live Arico news Join the Live Arico dog-walking club on Saturday mornings from 11am. Our dogs absolutely love it, and you will, too. A SPANISH island, which had been on the market for 30 years, has been purchased by a US-Cuban tycoon. Alex Meruelo bought the Illa d’en Colom islet, off the coast of Menorca, for 3. SAUDI ARABIA, coached by former CD Tenerife striker Pizzi, had a scare when their internal plane was hit by a bird strike on the way to their second game. Flames were licking around an engine on their A319, not long after taking off from St Petersburg and heading south to Rostov-on-don. RESULTS are not always everything in football, and the love of playing, plus a chance to help the less fortunate, are also goals for which to strive. That was demonstrated at Tamaimo last weekend when 24 teams converged for the Under-12s Pedro Foundation Tournament. Ladies’ football IT says a lot about the strength of ladies’ football in Spain, and the growing status of Egatesa Granadilla Tenerife, who have attracted a young, proven international to join their squad. The arrival of Lithuanian signing Liucija Vaitukaityte, a midfielder who, at 18, has starred on the world stage at youth and full international level, is quite a coup for the San Isidro-based team. CD Tenerife update EVEN the World Cup can’t completely relieve all the football withdrawal symptoms felt by CD Tenerife fans. But the wheels are moving, albeit slowly, behind the scenes. ANDY continued his early-season form for Pas O Nadas ‘A’ when he hit a 180 and had a 113 check out, as he helped his team to an excellent 7-1 win when they visited newly-promoted Legends. Sandys, who also earned promotion last year, welcomed The Pub’s experienced boys, and, with Grizzly helping himself to a 180 among other things, the visitors helped themselves to a 6-2 victory. After embezzling nearly six million euros, between 2004 and 2006, from a non-profit foundation he ran in Majorca, he was also fined 513,000 euros because of the public money he earned through fraudulent contracts. Urdangarin, sentenced to five years and 10 months, is being held at Brieva Prison, which is a small facility, with fewer than 100 inmates, just North of Madrid. THIS week, we received a nice “Thank-You” from the Cancer Bus Charity, at Oasis Fm Darts League’s presentation night, for the 1,470 euros raised by the players. On top of that, the Hole In The Wall charity golf tournament last Thursday (7th June) at Costa Adeje Golf, raised 3,523 euros, also for the same charity, via raffles and auctions at the event… including £500 for an autographed Celtic football shirt. A BRITISH gangster, who went on the run throughout Spain, has taunted investigators by shooting a video guide, showing how to flee the country. Convicted drug-dealer Sam Walker, 35, who has committed more than 100 crimes, is wanted after skipping a court appearance for driving without a licence. Live Arico news IT is with heavy hearts that we have to announce the closure of our shop on Golf del Sur. Our other shops in San Eugenio and Los Cristianos are continuing to thrive, and are open and fully-operational. K9 animal news WE recently held a fundraiser for Brenda after she snapped her cruciate ligament, and needed surgery to fix it. It took place at Polygon Bar in Los Cristianos, and was very successful. Cats Welfare news MAKE a date in your diary and come to join us for a Pimms. Yates Show Bar, Playa de Las Americas, is the place to be on 21st June, from 1pm. POPULAR darts star London, who played in the Oasis Fm League until his untimely death recently, has left a legacy, thanks to his widow, Ann Bowen. She asked people attending his funeral to donate to the Cancer Bus charity, rather than buy flowers, and an excellent total of over 400 euros was raised. Lions have no time to stand and stare! MAY can often be a quiet month in Tenerife, but members of Arona’s Las Galletas, Costa del Silencio Lions Club were still able to keep busy! Apart from manning our charity shop every weekday in Coral Mar, they have been getting out and about, collecting gratefully-received donations for our shop. They have also been liaising with the Hermanos Franciscanos de Cruz Blanca (or White Fathers, as they are better known) in Las Chafiras, regarding the purchase of a much-needed “cama ducha”, which is a “shower bed”. Accion del Sol news THERE are 220 gorgeous dogs at the refuge, waiting patiently for the day they will be lucky enough to be adopted. Some of the dogs in our care have never experienced the love of a good owner, and to sleep in a comfy bed. HELPING HANDS’ leader Liz Montague and Stephanie Tudge, who runs Association Happy to Help, met Director Rita Álvarez onj Monday at El Mojón’s Centro de Diversidad Funcional to discuss the children charities’ support for the hospital’s new project. ASLA is a Rehabilitation Centre within the hospital, supporting children of all ages, with various disabilities. THE Brexit transition period, agreed in March, gives British expatriates, and those wishing to move to Spain, more time to prepare. This was welcome news, but the clock is still ticking to get ready in time, particularly where paperwork is involved. GUARDIA Civil officers, based at Santa Cruz port, have charged a man with crimes against public health, as well as drug-trafficking. He was nabbed during a random check by the Guardia, specifically for tax reasons, as passengers arrived at the port on a popular, commercial ferry, which sails from island to island on a daily basis. Another pharmacy break-in, and the robbers are caught! IT’S hard to believe, considering recent publicity, but two men, wearing hoodies, were seen breaking into a pharmacy in Adeje last Friday by off-duty Guardia Civil officers, who called for reinforcements, rapidly. A number of Tenerife chemist shops have been broken into this year, as reported in Canarian Weekly. Donkey gives birth, in house driveway! A DONKEY stunned a family living in the New Forest by wandering up their driveway and giving birth to a foal, right outside their kitchen window. Martin Sampson, 41, of Brockenhurst, Hampshire, said it was “incredible” when a pregnant mother arrived on his drive, along with six other donkeys, who hovered around outside. MARIANO Rajoy, leader of the Popular Party and Spanish Prime Minister of Spain from 2011 until last week’s no-confidence vote, is “leaving politics”. But, at meeting of the party’s National Executive Committee, he pledged to stay on in a caretaker role until a successor was chosen. A BRITISH crime lord, who arranged drug deals while on his stag-do in Ibiza, is facing prison, after planning to supply cocaine and heroin across the UK. Carl Hannan, following a six-week trial at Teesside Crown Court, awaits sentencing after he and six accomplices were found guilty of the above offences. Live Arico news WE would like to say a big, warm thank-you to all who made last Saturday’s event a huge success, to help our furry friends, and to John and his fantastic team at the Terrace Bar, Amarilla Golf, for giving us this opportunity by hosting the event. And a big shout-out to all the acts who performed and made the afternoon really enjoyable. Accion del Sol news ONE of the puppies found a few weeks ago in a cave has been adopted by a lovely family from Callao Savaje, where she now has the loving home she deserves. Rescue dogs make excellent pets, and we always encourage people to adopt, not buy. AS Tenerife Loves Karaoke nears the end, two heats have taken place in less than seven days. Last Saturday saw another great night for the seventh heat. WEAKER-than-expected UK data has put the pound under fresh pressure, raising doubts over the likelihood of the Bank of England (BoE) tightening monetary policy, before the end of the year. A volatile sense of market risk appetite helped to drag the GBP/USD exchange rate lower, hitting a seven-month low of 1. Criminal walk is so arresting! CRIMINALS will soon be identified by the way they walk, say British and Spanish researchers, who are in the final stages of completing technology to expose them, especially at airports. The technology identifies a person’s gait, which can be used to identify people instantly, because we all walk in our own, unique way. Ugh…who’s for a second cuppa? THEY must be the most obnoxious creatures ever, carrying all sorts of germs as they scurry around from the sewers they inhabit. Yet, believe it or not, some people are actually drinking cockroach milk as a dairy alternative now, and it is said that the product is more nutritional. THOUSANDS of people invaded the streets of the Madrid last Sunday, protesting against what they believe was animal cruelty in bullfighting. The demonstration was backed by around 17 animal-rights’ groups, who said around 40,000 had turned out in the Spanish capital to call for an end to the sport. THE centre of Adeje will be taken over this weekend by Corpus Christi, one of the borough’s oldest celebrations. Some 445 sacks of sea-salt will be coloured and used to make carpets along the full length of the town’s Calle Grande, and the Calle Corpus Christi, from tomorrow afternoon (Saturday). Women completely out of the swim… for now! THEY certainly didn’t look or sound like men, and they weren’t exactly shaped like men. But a group of women insisted they had every right to swim in Hampstead’s male-only pool, in North London. Live Arico news MEET Pippin! She is six weeks old, and the last from a litter of four. Her mother is a lovely podenco, and this tail-wagging, happy-go-lucky pup is in need of a loving family. K9 animal news K9 animal refuge has come a long way since its origins, and, this week, we hit a milestone! Back in March of 1993, K9 president Elsie rescued her first street dog in Tenerife. She soon became aware of the amount of abandoned and unwanted animals on the island. Cats Welfare news HERE are five reasons why you should all have a feline friend. 1. Accion del Sol news LAST week, these seven gorgeous puppies, who had been abandoned by some heartless person, were found in a cave in Los Cristianos. They are about six weeks old, and will grow to be medium-sized dogs. PM Mariano Rajoy has been voted out following a corruption scandal. The vote has put the opposition in charge and is assumed the leader, Pedro Sanchez will be leader as of Monday. LORO Parque Foundation, thanks to its conservation efforts, has saved nine parrot species from imminent, total extinction. Since its 1994 creation, the Foundation has spent more than $18,000,000 (15m euros) supporting conservation projects for endangered species. ISIS fanatics have, horrifically, threatened to behead Spain’s superstar footballers Lionel Messi and Cristiano Ronaldo at next month’s World Cup in Russia. They have used a series of distressing posters, and one photo-shopped image shows the Barcelona and Real Madrid stars being pinned down by jihadists, armed with knives, on a packed stadium’s pitch. FOOTAGE has captured festival-goers mistreating a bull, as it appeared to suffer a seizure during a festival in Eastern Spain. The half-tonne animal grazed its horns along the tarmac as it struggled to find its feet during the traditional “bou al carrer” bull-run, in Villa Real, Valencia.